When was the last time that you bought an expensive jewellery for yourself? Jewelleries are not only great fashion accessories, they can also serve as added investment for future use. Gemstones, semi-precious stones as well as precious stones have command high price in the market today especially ones that have a rich historical background to it. Diamonds for one fetched millions even small sized ones because of the cut made with the stone. 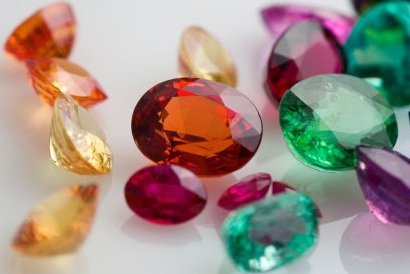 Why are Semi Precious, Precious Gemstones Expensive? One reason that these stone types are expensive is due to the fact where the stones are actually mined and also the rareness of the stone. Some stones are mined in caves and as deeper the miners go, machineries and digging equipments might not be able to reach the place making it more difficult and dangerous to mine the caves. Another reason that the stones cost more is the stone's rarity as mentioned. Pink diamonds and black ones are difficult to find so the bigger the stone with no flaw in it, the higher the price. Last but not the least is the cut that a jeweller will make with the stone. The precised cutting of the stone is particularly important especially when it comes to diamonds as the cut determines the brightness that will pass through the stone. A perfectly cut diamond, no matter how small it is, will fetch more if it is cut accordingly. If you intend to buy expensive jewellery then consider looking for jewellery stores or shops that have reputable reputation or portfolio. If you are vacationing then it pays to speak to a local or native and ask for some suggestions. More often than not, the locals would certainly point you to one that is worth your time. They can also offer you tips in buying and can even help you have discounts or make it your best buy ever.